Kashoo is a popular accounting application that was designed specifically for business owner’s verses bookkeepers and accountants. Intrinsically, it is a service that lets business owners create, edit, and send invoices using different templates. It also provides users with the ability to view and track their expenses, as well as automatically imports bank transactions and generates the reports required for tax filing. It is available on the web and for iOS devices, and can be used offline, with data synchronization whenever an Internet connection is available. Is Kashoo right for my business? Kashoo is an online accounting service for small business owners, freelancers, and entrepreneurs who are looking for an easy and affordable solution to manage their accounting functions. It allows small business owners to run their business the way they want to: anytime, any place and from any device. It provides a simple and straightforward solution to all the accounting needs for a small business and makes it convenient for business owners to create, send, and manage their invoices, expenses, reports, and credit card payments. What features does Kashoo offer? How much does Kashoo cost? 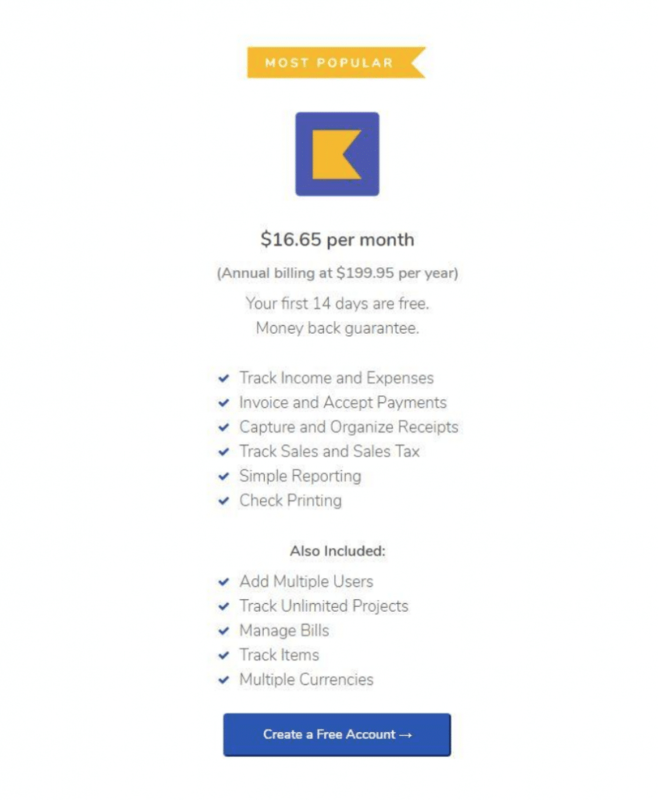 Kashoo provides two distinct pricing plans. The first plan is a software-only plan that costs $16.65/month if you choose annual prepayment. It costs $19.95/month if you pay on a monthly basis. The second plan involves bookkeeping and tax services that cost $199/month. Apart from the Kashoo’s accounting software, it also includes the services of a bookkeeping expert and a personal tax advisor to assist you by providing monthly reports, and tax filing, respectively. It’s a cloud-based service, and it is inaccessible if there is no Internet connectivity. It allows offline usage, but requires an Internet connection to sync your data.